Blue and White leader concede defeat as poll numbers show right-wing bloc winning 65 Knesset seats. Blue and White leader Benny Gantz, the main challenger to Israeli Prime Minister Binyamin Netanyahu, conceded defeat Wednesday in the country’s election as results showed the premier was on track for victory. 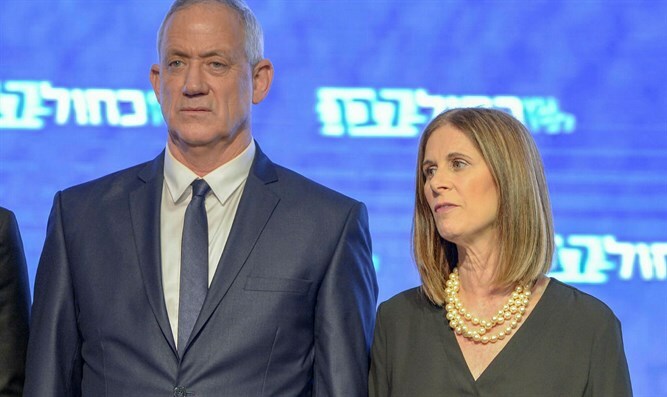 “We respect the decision of the people,” Gantz told journalists, acknowledging his Blue and White alliance had failed to unseat Netanyahu in Tuesday’s poll. Gantz’s Blue and White party won 35 Knesset seats in yesterday’s election, the same as the ruling Likud party. Both parties received over one million votes. However, the right-wing bloc received significantly more votes than the left-wing bloc and is currently projected to win 65 Knesset seats, giving Netanyahu the victory.